The love we’ve shown to different culinary areas of Fort Worth in this blog is now focused on Fort Worth’s east side, now referred to as River East. This multicultural area of the Fort is rich in history: a combination of tree-lined streets, vibrant neighborhood associations, and a thriving urban community. There are more mom ‘n’ pop barbecue and soul food restaurants per capita here than in any other part of the city. Here are a few reasons why River East may truly be the soul of Fort Worth. 1.Campesino’s Café – According to the restaurant’s website, a campesino is a hard-working farmer. The menu items and plates here are certainly big enough to fill any worker’s appetite. Case in point: The Si Se Puede burrito –– five pounds of your choice of meat and veggies, rice, and beans wrapped in a flour tortilla. Perhaps that’s a meal to share. 2. 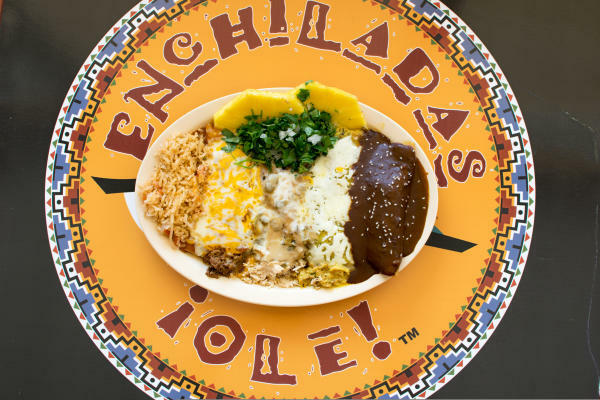 Enchiladas Olé – Owner Mary Perez left her career in the corporate and local government world to sell her enchilada sauce at grocery stores. And the rest, as they say, is history. She rehabbed the space for her new restaurant, which had fallen into decay, on a single mom’s budget. While her story’s inspiring, the real story is the food: simple Tex-Mex favorites with a couple of fun twists, including a hatch chile enchilada and “street enchiladas,” a la street tacos. 3. Gypsy Scoops – The little ice cream truck people have been chasing all across town has a new brick-and-mortar home on the Eastside. The ice cream menu is seasonal, but two of the classic flavors combine some of our favorite tastes. Wookie’s Cookies is a cinnamon ice cream with pieces of oatmeal cookie and chocolate chunks, while Gypsy Bride is a take on the flavor of Italian wedding cake, with chocolate chips and pieces of cake in vanilla ice cream. 4. Griff’s Hamburgers - We don’t use the term “legendary” often, but Griff’s has been an institution at the Lancaster location longer than some of us can remember. The southern regional chain (with locations in Haltom City, River Oaks, and in Dallas, Louisiana and New Mexico) serves up single, double, and triple cheeseburgers, a cheesy chicken BLT, and a fish sandwich, to name a few of the menu items. The steak finger basket is essentially portable pieces of chicken-fried steak, served with gravy, fries, and Texas toast. 5. Hoberts Soul Food Canteen – The blink-and-you&apos;ll-drive-by-it restaurants has all the soul food classics, including turnip greens, smothered steak, black-eyed peas, baked chicken and chittlings. “Granny Cille” has some beautiful grand kids (see the Facebook pictures if you don’t believe us) and makes some beautiful food. 6. 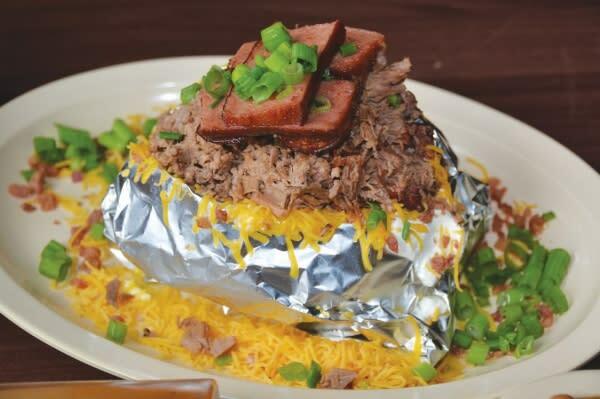 Kipz Barbecue – They’ve been, and gone, and are now back at this little BBQ joint, where you can get ‘cue standards (brisket, chicken sausage) along with smoked bologna and a baked potato smothered in brisket, sausage and sour cream. Save room for the homemade baked goods –– you can’t go wrong with a plate of real banana pudding. 7. Library Café – Library Café owner Joyce Brown is a true matriarch. 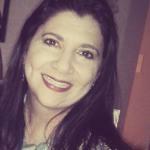 Along with her husband Dr. James Brown, she started the East Fort Worth Montessori Academy in the mid-90s. Her restaurant, like the school she helped start, was born from a need she saw in her community. In the case of the Library Café, she found people wanted a sit-down restaurant serving homemade, healthy meals. The food’s a multicultural mélange of soul food, tacos, brisket, a halal/kosher burger, and a veggie portabello burger as well. 8. Mama Racheal’s Good Home Cooking – We don’t believe everything we read, but Mama Racheal’s comfort food is truth in advertising. Sandwiches, hamburger baskets, and fried chicken share space on the menu with daily lunch specials that include turkey wings, liver and onions, baked chicken or ox tails, depending on the day. Save room for the homemade cobbler or the 7Up Cake. Or both. 9. Taqueria Tepito, 1104 Miller Ave – It’s hard to miss the small purple building on Miller Ave. The menu at the decade-old Tepito’s is full of inexpensive street tacos –– thick corn tortillas filled with lengua, carne asada or tripas, sold individually or in a plate with rice and beans for under $7. Tipito’s also makes a good torta with lightly grilled bolio bread. There’s a nod to the area with the Polytechnica torta–– milanesa (thin fried meat), chorizo sausage and cheese in a grilled torta bun. 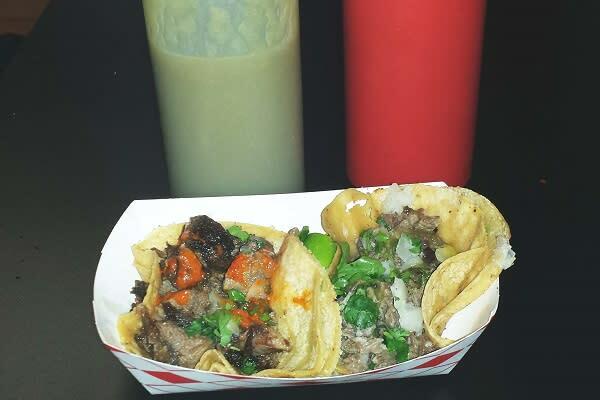 Each table has a squeeze bottle of spicy red and spicier green sauce to augment your choice. 10. Wilson’s BBQ – Pitmaster Leroy Wilson is a second-career restaurateur –– he was in the IT industry before the barbecue bug got to him. For more than a decade, Wilson’s has served hickory-smoked meat cooked in an on-site pit. The restaurant’s open daily, and most of the lunch specials run a little under $9. Discover even more delicious eats in the developing River East area of Fort Worth via the Fort Worth Star Telegram&apos;s 20 top restaurant finds in east Fort Worth.